2-3" fully double (rose bud look-alike) opaque pink flowers, long blooming form, compact erect habit, an old classic that is now very underused. 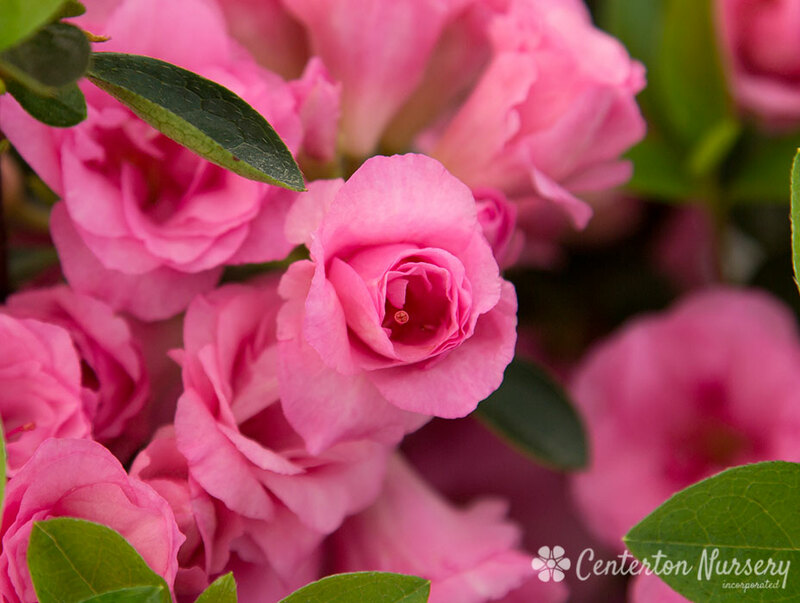 Spring/Summer Care: For best flower production, always prune within 30 days after flowering then leave alone. Do not fertilize past June. Autumn/Winter Care: No pruning or maintenance needed. 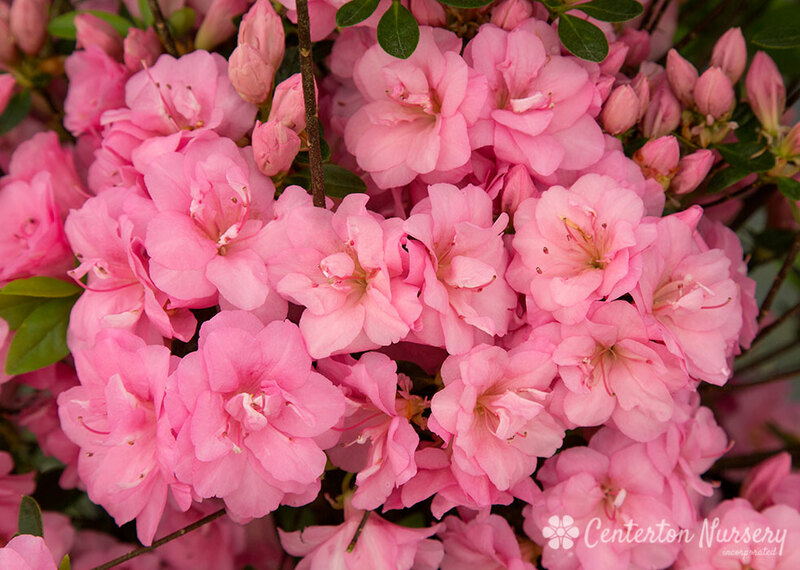 Fertilizer Needs: Azalea rarely need fertilizer, but when they do, it is best to use organic-based fertilizers during late winter. 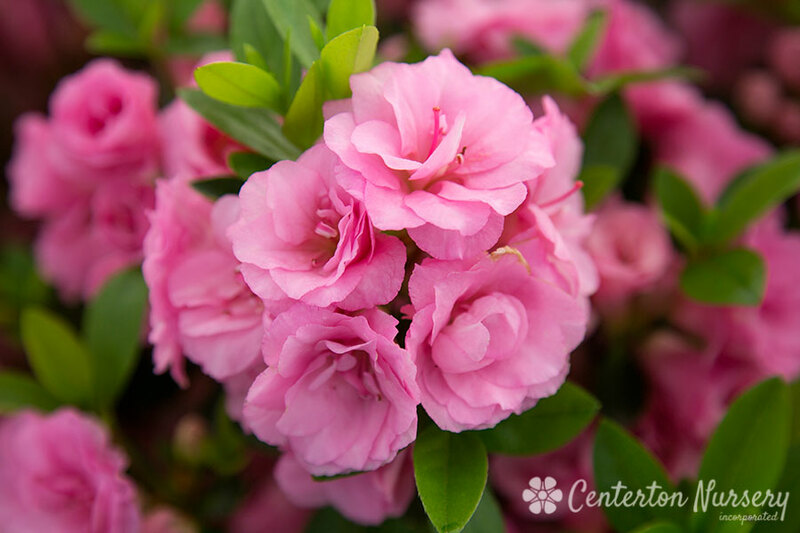 If soil pH is high, there are also acidic fertilizers designed for Azalea/Rhododendron that could be used.